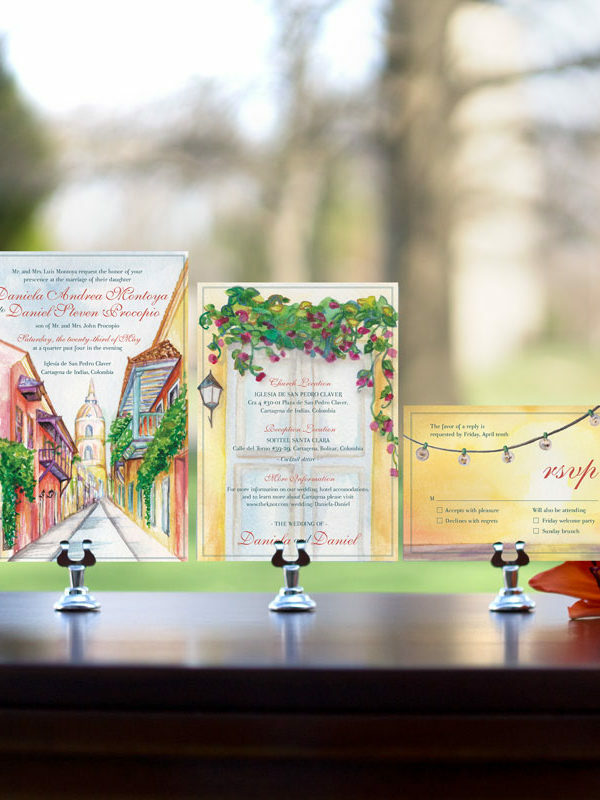 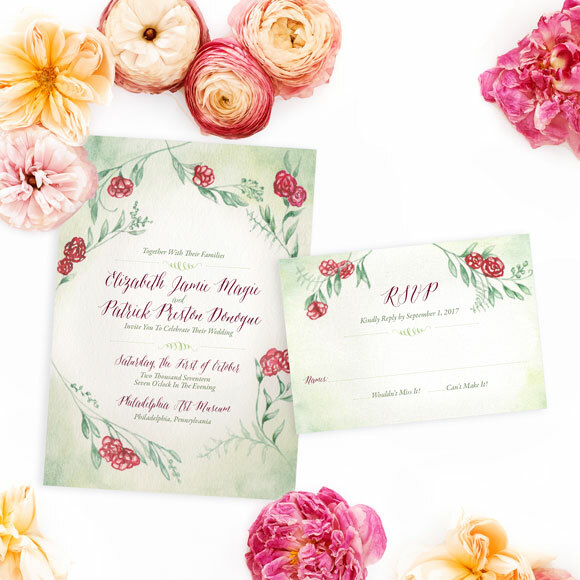 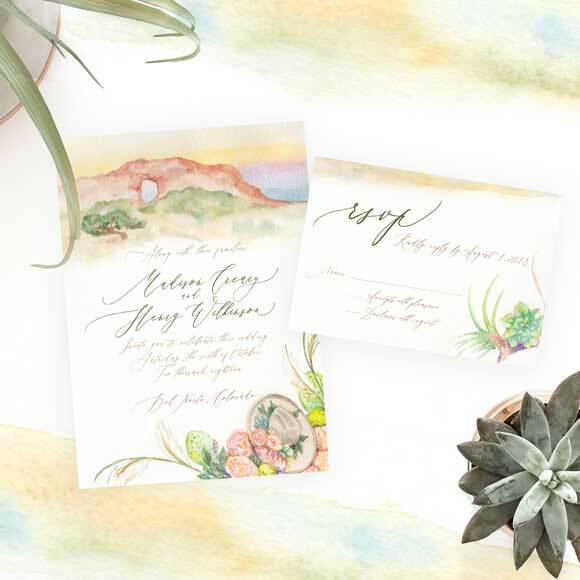 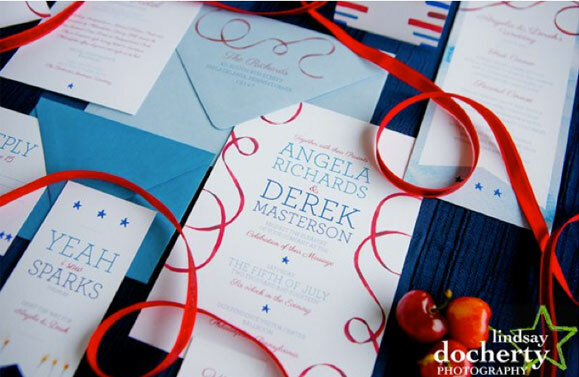 The hand-painted Western Wedding Invitation and RSVP set exudes warmth and would be perfect for a modern western wedding. 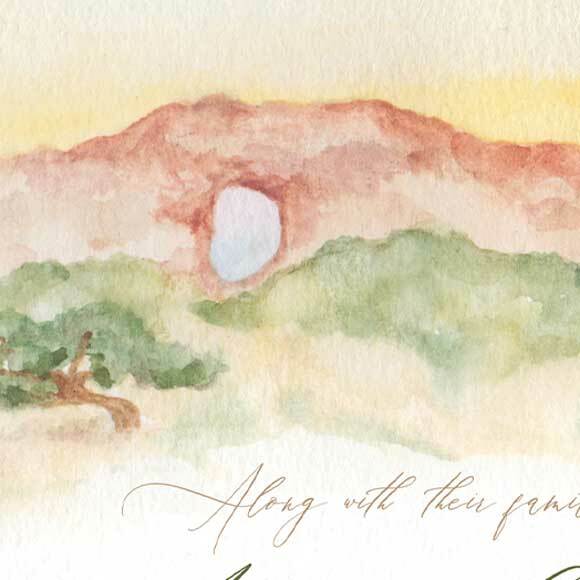 The natural beauty of the red rocks exudes alongside the modern brushed calligraphy. 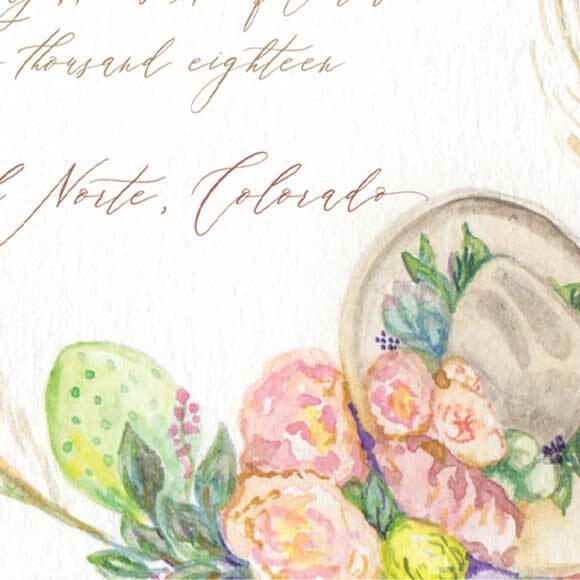 Succulents, pampas grass, cactus and a western hat border the bottom of this invitation adding a bunch of elements that can be incorporated into the wedding.